Street artist Banksy has taken a stand against the current refugee crisis with a new series placed in one of Europe’s most overcrowded migrant camps. 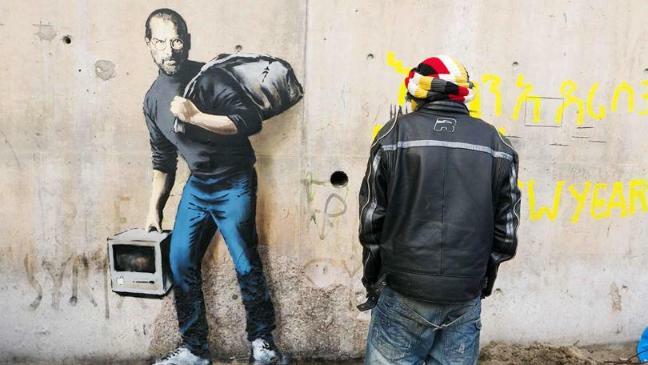 The new collection was placed in the camp known as The Jungle in Calais, with one of the pieces showing Steve Jobs as a refugee, holding a backpack and an old Mac computer. The mural was designed to emphasize Steve Jobs’ ancestry as the son of a Syrian migrant. According to ABC News Calais’ city government announced plans to encase and preserve the pieces. 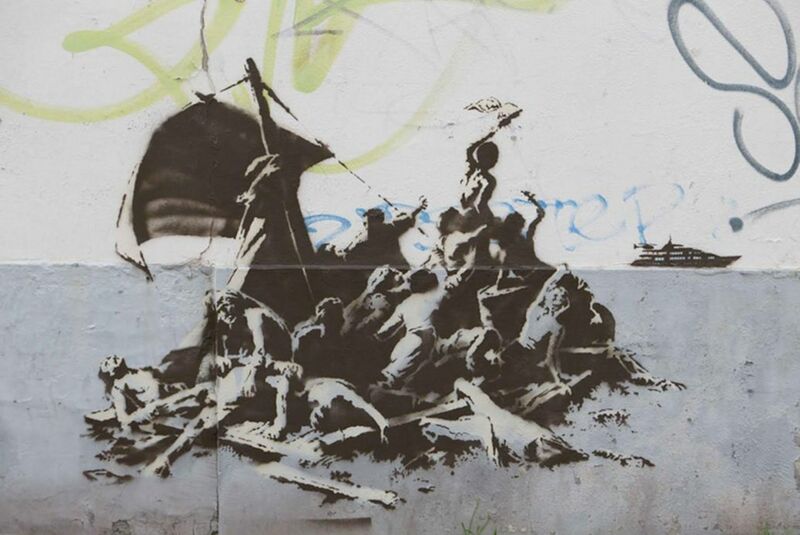 Banksy has been known in the past to advocate for refugees, earlier this year, the materials he used to build the satirical amusement park, Dismaland, where sold to help build shelters for refugees.
? Hidden Cameras Being Used To Measure And Manipulate Political Views Around The World The Dark Side Of Spirituality Returns ?